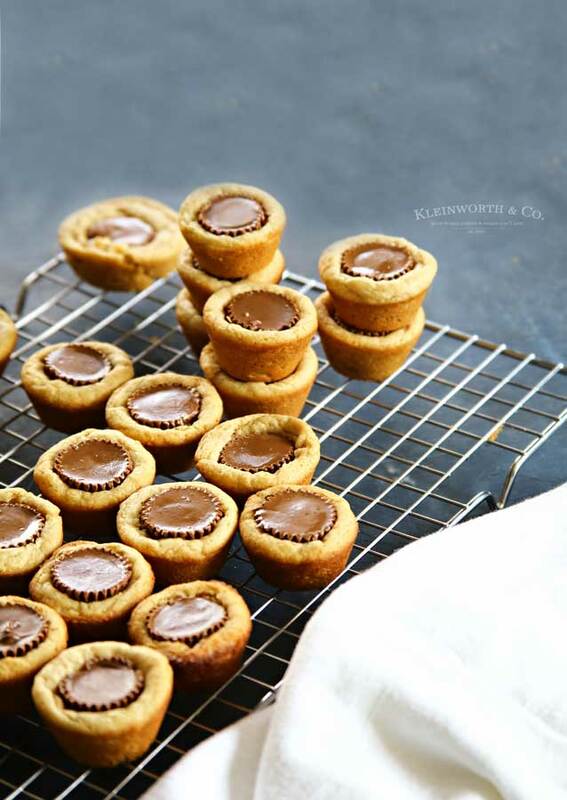 Peanut Butter Cookie Cups make great gifts for the holidays. 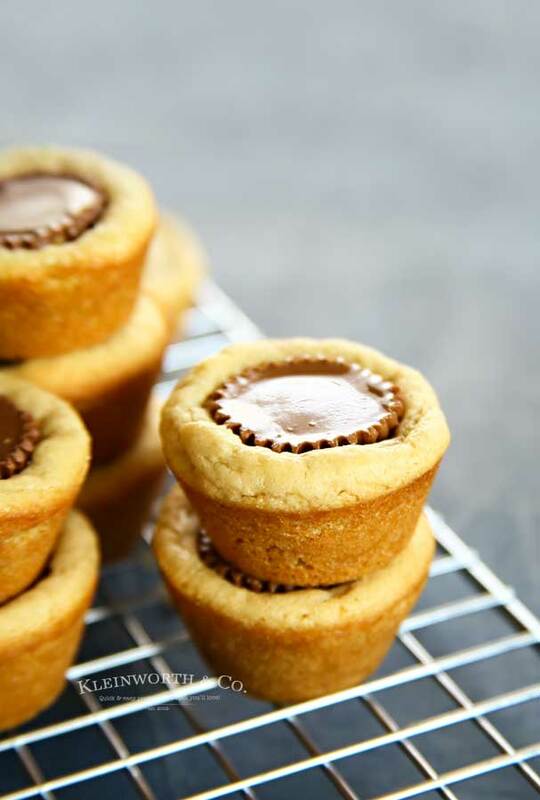 We love these because they are mini Reese’s Peanut Butter Cups stuffed in peanut butter cookie cups. They are also great for all your holiday parties. Do you love the salty sweet combo of peanut butter & chocolate? We sure do! 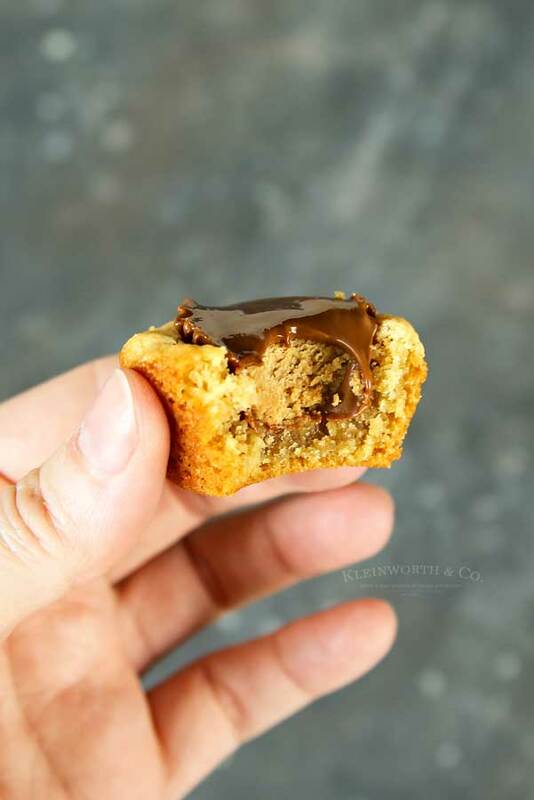 Which is why these Peanut Butter Cookie Cups are one of our favorite family recipes. 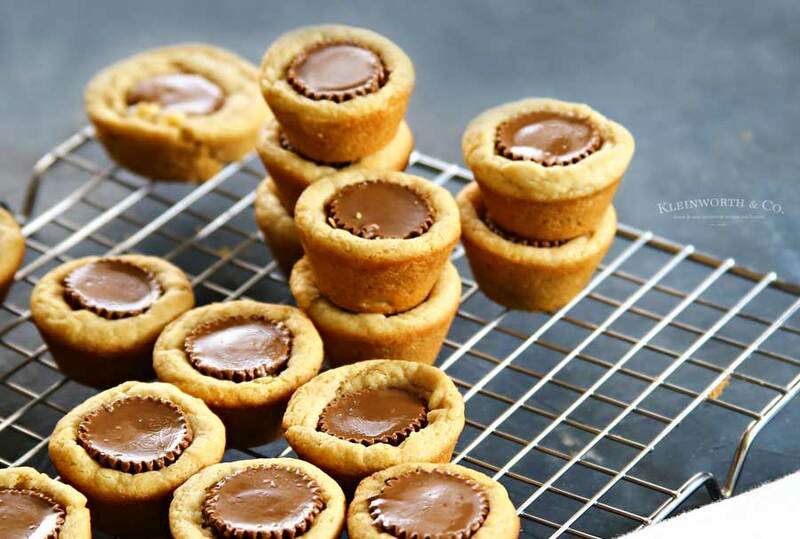 You know, you really can’t beat these tiny peanut butter cookie cups stuffed with mini Reese’s peanut butter cups. We really love our Reese’s in this house & so it seems we are making these cookie cups quite often. 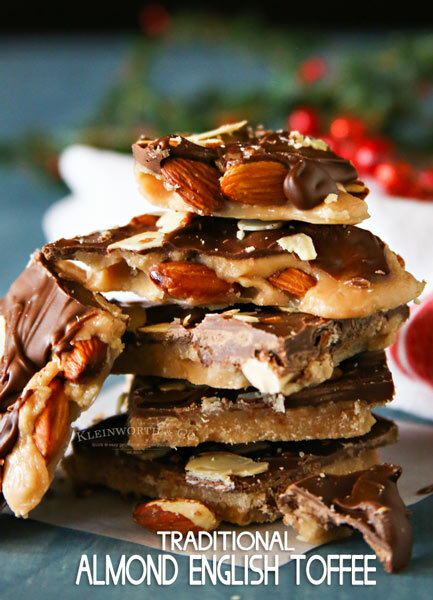 I love these because they are great for the holiday season. 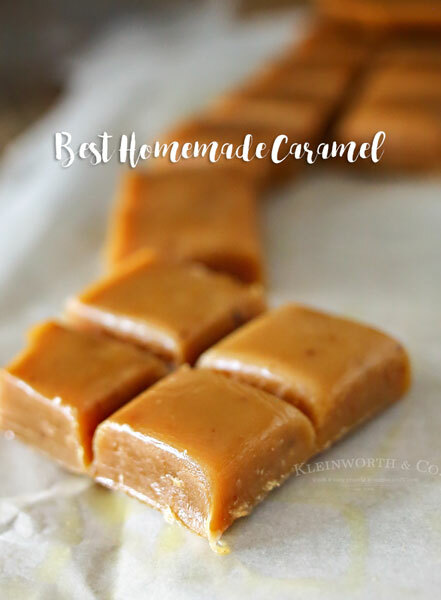 So easy to make in large quantities, which makes them fabulous for gifts for the neighbors or putting out on a platter before all the family comes over for a celebration. You might want to make these for an awesome Halloween party too!! What size pan do you use for these cookie cups? I use this cute mini muffin tin to make these. 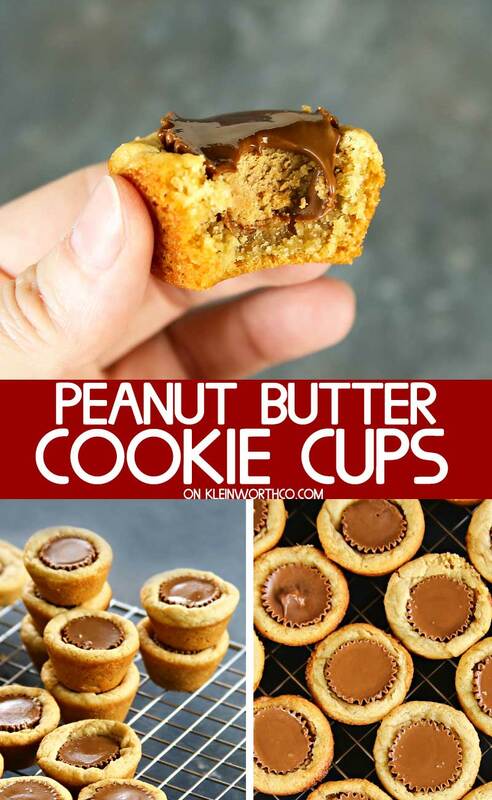 I find that it makes the perfect size cookie cup to peanut butter cup ratio. That being said, I have seen these made with a standard muffin tin. I have not tried that myself, so I couldn’t tell you what the baking time would change too. 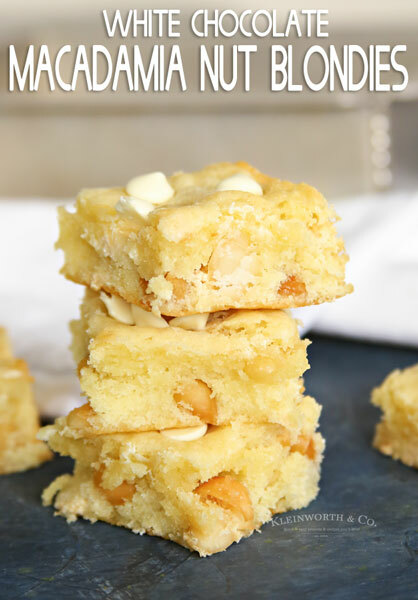 Can these be made Gluten-Free? I have never personally tried it. But I have seen some recipes floating around the internet, so it is possible if you pick up the right ingredients. I may give that a try next. Mix flour, baking soda, & salt. Cream together butter, granulated sugar, brown sugar & peanut butter. Add egg, vanilla & milk. Roll dough & place in prepared pan. Bake. Add peanut butter cups & cool before removing from pan. 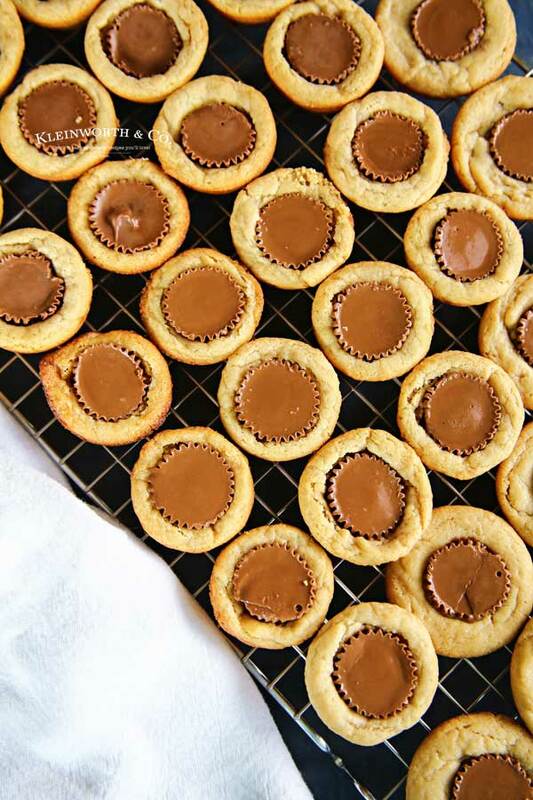 These are the perfect treat for the chocolate & peanut butter lover. Spray mini muffin tin with cooking spray & set aside. In a small bowl, combine flour, baking soda, & salt. In large mixer bowl, cream together butter, granulated sugar, brown sugar & peanut butter until fluffy. Beat in egg, vanilla & milk. Slowly add dry ingredients. Mix well. Bake 7-8 minutes. They should look puffy, not browned on the sides. 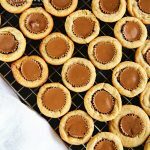 Immediately after removing from the oven, place one peanut butter cups in the center of each cookie cup & press down into the cup. Allow to fully cool before removing from pan as the peanut butter cups will be gooey and the cookie cups need to set to hold their shape. Not only do they look delicious, they look adorable! What a great recipe. I would love for your to share at Inspire Me Monday. 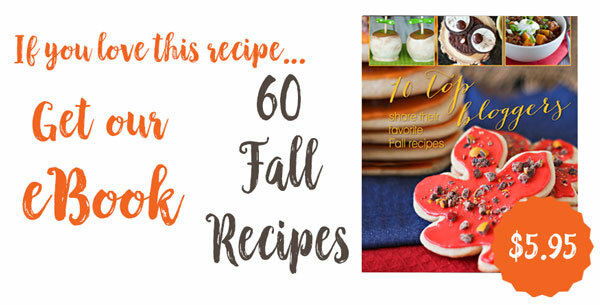 https://www.farmhouse40.com/inspire-me-monday-196 Our readers would love this recipe. 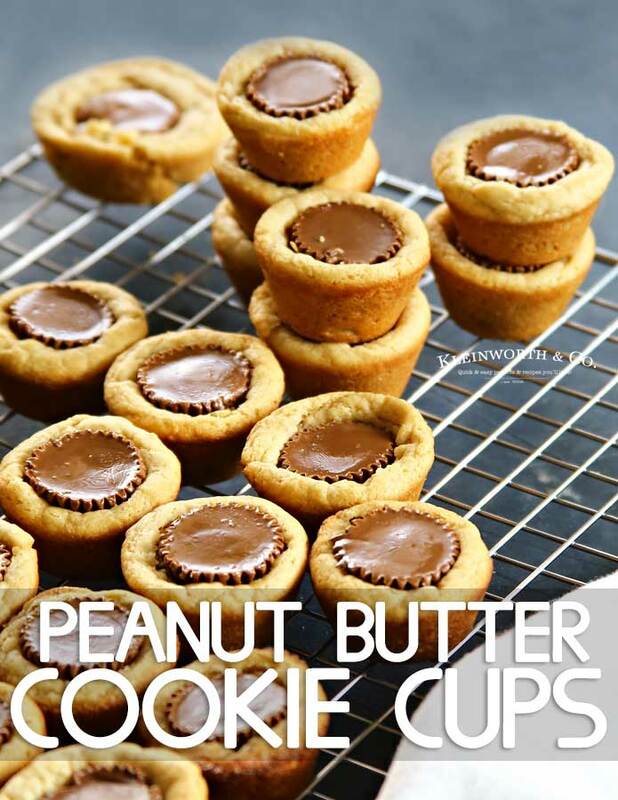 Your Peanut Butter Cookie Cups look amazing! Thanks so much for sharing with us at Full Plate Thursday and have a great week!